I am Patty Hawkins, National Director of MAC (Miss American Coed) Pageants, a scholarship pageant system for girls and young women between the ages of 3 and 22. My mother, Carolyn Hawkins, and my aunt, Mary Jo Scarborough, founded Miss American Coed in 1983, and each year since then American Coed has presented thousands of dollars in cash awards, prizes and scholarships to contestants from all over the United States. 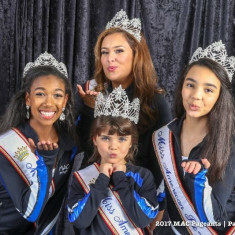 Since then MAC Pageants have been the country's most popular pageants for girls for a reason: the events are family-oriented and age-appropriate. We encourage and reinforce the confidence and natural beauty that we know is within each and every girl. That's why you'll never find any make-up on a MAC Pageant participant under age 13 during our required competitions. We've never had it and we never will. Likewise, the clothing and onstage presentations are always age-appropriate. 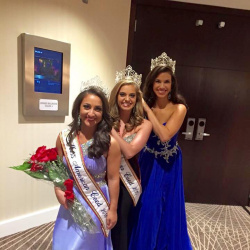 We offer a safe, friendly, and supportive environment for young women and girls to compete in teen and child pageants where they can gain self-confidence and self-esteem. A place where they can learn the abilities to express themselves, to set and achieve goals, and to interact comforatably with others; skills that are crucial to a successful life. Many of the participants, and winners, in a MAC Pageant have never competed in a pageant before! 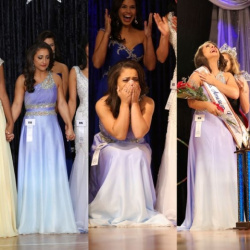 Every year we see hundreds of young ladies arrive on pageant weekend too unsure or shy to get on stage by themselves. Through fun rehearsals and activities during a MAC Pageant weekend, by the time for Finals they are enjoying new found friends, new found confidence, and a new found love of being in the spotlight! We encourage teamwork, an appreciation for family, and personal achievement. Most importantly we want every contestant who competes in a MAC Pageant to go home with a new sense of self-worth, a higher degree of self-confidence, and poise which can only be developed by actual practice and stage experience. These are the most important prizes contestants can take home with them. That’s what Miss American Coed Pageants are all about! We have an experienced and dedicated staff committed to creating the most magical experience possible for all of the MAC Pageant contestants and their families. It's not uncommon to have 3rd and 4th generations of family members on staff any given weekend. With past MAC Pageant contestants, MAC Pageant moms, MAC Pageant dads, and even MAC Pageant brothers, our staff is uniquely able to create a friendly and empathetic environment for new MAC contestants. They've been where you are and they know how you feel. 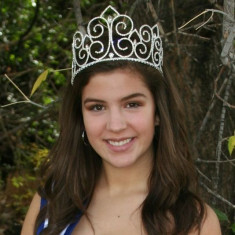 They know what to do to make your entire family feel at home and welcome at MAC Pageants. and this is your invitation to enter the Miss American Coed, Teen, Junior Teen, Preteen, Sweetheart or Princess Pageant in your state. Just think of the excitement and glamour as you walk across the stage in your beautiful evening gown with the spotlight and applause all for you! Any girl who is interested in pursuing a career as a child or teen model, an entertainer, or competing at a very high level within the Miss America or Miss USA pageant systems will benefit greatly from her involvement with MAC (Miss American Coed) Pageants. State winners and runners-up have the opportunity to compete in the National MAC Pageant at Walt Disney World in Orlando, FL! You may get to spend Thanksgiving with your family and Mickey Mouse! So, don't delay. Submit your application today!